U.S. equities markets officially close at 4pm EST. However, access to trading stocks still continues until 8pm est. through various electronic communication networks (ECN) and exchanges. The period from 4:01pm to 8pm EST. is considered the after hours, extended hours and post-market period. Market makers and specialists do not participate in after hours making it very illiquid. The biggest difference between after hours and market hours trading is the thin liquidity, which results in very wide bid/ask spreads. It’s a very dangerous landscape. Liquidity tends to be thin with excessively wide spreads since market makers and specialists have left for the day. Most stocks have no activity in the after hours markets. However, when news comes out after the close, the underlying stocks may have some trade-able action. Since most stocks are illiquid with extensive spreads, it is not prudent to trade stocks after hours unless there is some type of news inspired activity that creates a notable gap up or down with volume and additional liquidity. The bid and asks can still be very wide and therefore trading should only be reserved for seasoned veterans. The more fruitful times where after hours activity is the greatest is during one of the four earnings reporting periods. Widely held stocks that report earnings in the after hours session generating gaps up or down on heavy volume are the only types of post market trades that are worth trading. Traders should have a detailed set of support/resistance levels and understand that liquidity can still be very thin depending on the stock. Stocks with larger floats will have tighter spreads versus high flyers trading above $100 per share. When a company reports earnings, it will have an initial reaction accompanied by a potential counter move and then a trending move. Keep in mind that most companies that report shortly after the close will also have a conference call proceeding the report usually between 5pm and 6pm est. The conference call can change the direction of the trend, especially if they update their forward guidance and based on the outcome of the question and answering session. All after hours trading is risky since market makers and specialists are not participating. Usually, it is a good idea to observe the post market and note the support and resistance levels to use during the market hours the next morning. 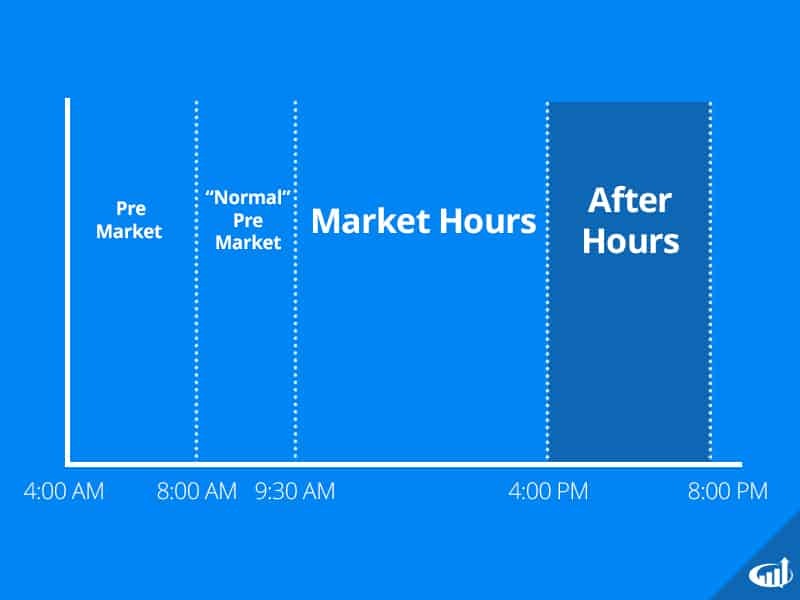 FDA decisions and clinical trial results are often released in the after hours trading period, often accompanied by a trade halt and resumption. The reactions can be violent. Only seasoned veteran traders should even consider playing these. Approvals tend to get gaps up and rejections tend to gap down, but are not always the case. If a stock is too crowded to one side (long or short) the results can actually be an opposite reaction. Trades can only be executed through ECNs and dark pools in the post market. All post market trading is done with limit orders, as market orders are prohibited and too dangerous. A direct access broker is highly recommended. Most traders will use reserve or hidden orders to hide transparency, so as not to leave too much of a market impact in thin liquidity. Post market will always have less liquidity than regular market hours. Post market activity can results in a completely different outcome the next morning depending on how the analysts may perceive the earnings report and guidance. There are also whisper numbers that may apply to the earnings. The outcome can be unpredictable and most traders should wait for the market hours to consider placing any trades. The worst situation would be to take a position in the post market and have the action reverse and trend going into the market open. There are numerous instances of stocks that have completely missed the earnings and lowered expectations, which lure in short sellers that get trapped in the pre-market session and or during market hours as the momentum shifts back the other way. Therefore, it is prudent to close out positions prior to the end of after hours trading. Often times, the spreads may become too wide to close out properly, resulting in the trader holding the position into the next day inadvertently in many cases. Always remember that the after hours trading session ends at 8 pm EST.